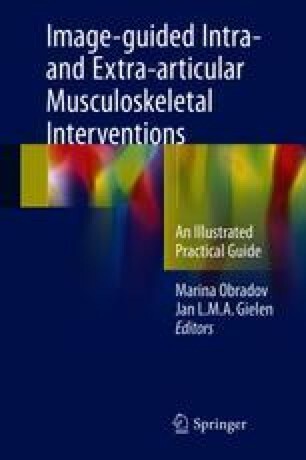 Several indications to perform an injection in hand and wrist are listed in this chapter. Grounds for extra-articular injections as well as relevant anatomy, medication, equipment and technique related to those procedures are clarified. Also aftercare and side and adverse effects are mentioned.